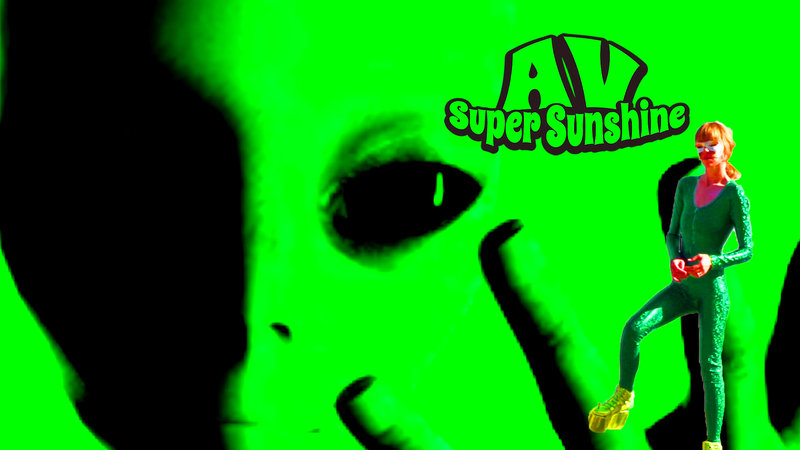 Chicago, IL, June 27, 2017	(Newswire.com) - AV Super Sunshine’s new “I Am Alien” dance remixes pay tribute to the 70th Anniversary of the Roswell UFO Incident! Fresh off achieving simultaneous #1’s on Starfleet’s Dance and Crossover charts with the hit “Baby Goodbye 2017,” AV’s latest hit has fun with the serious proposal of what if there had been a saucer crash which a lone alien survived (allegedly). 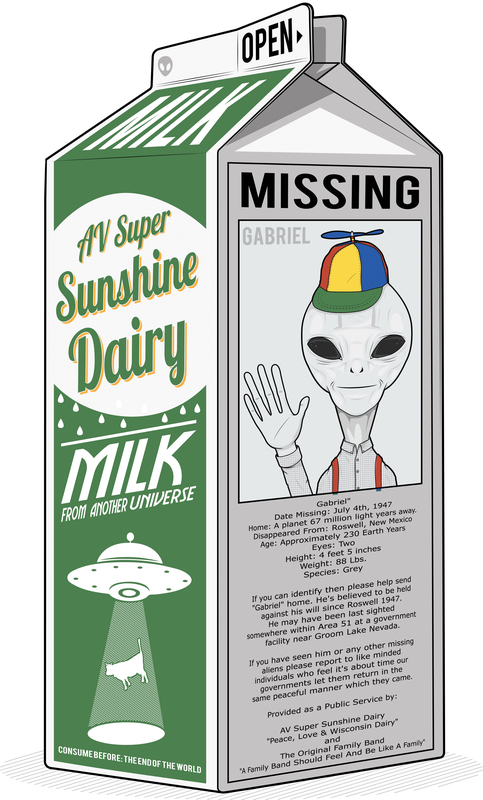 If the Roswell claims are true and since it’s reported that gray aliens live to 300 Earth years, it’s entirely possible that the gray alien from AV’s song could actually still be alive, secretly held captive somewhere within the infamous Area 51. Even cooler, space aliens fall under the illegal alien laws making the Roswell alien our first illegal alien from outer space. If we get full disclosure from our government then he could be deported back to his home planet to be reunited with family and loved ones. Now that’s a dance song theme you’ll only get from AV! On July 8, 1947, the Roswell Army Air Field (RAAF) issued a press release stating they had recovered a "flying disc," which crashed on a ranch near Roswell, New Mexico. According to the Roswell Daily Record, one eyewitness to the crash said the "disc" appeared to be traveling between 400 to 500 miles per hour and looked oval in shape like two inverted saucers. The witness added, "The craft’s body glowed as though light was showing through from inside." The RAAF later refuted their story; however, more and more witnesses came forward to say there had been alien bodies within the "crashed craft," which along with the wreckage were then taken to the mysterious top-secret Area 51 military base in Nevada. In 2014, a retired senior scientist who had worked at area 51 stated in a videotaped death bed confession that a single alien survived the Roswell crash, supporting one of the biggest UFO conspiracies on record. 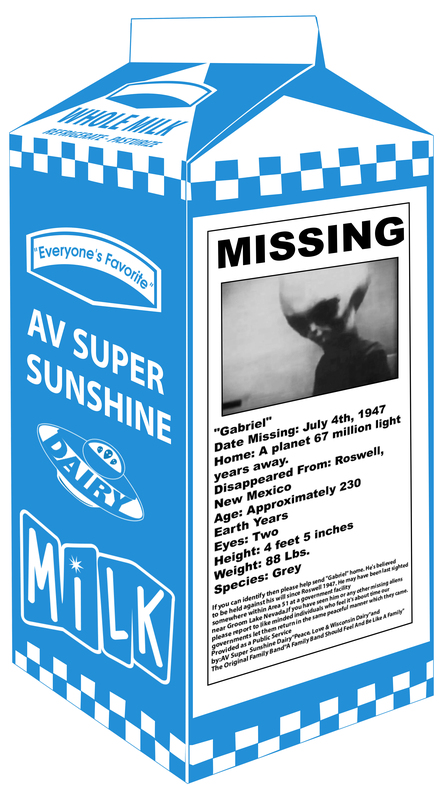 As tribute to the 70th Anniversary of the event, which still intrigues millions worldwide, AV Super Sunshine is pleased to premiere a series of new “Roswell Remixes,” themed dance remixes from AV and producer Michael Bradford entitled "I Am Alien." AV captured #1’s on Starfleet's Dance and Crossover charts with the hit “Baby Goodbye 2017. AV’s latest hit has fun with the serious proposal of what if there had been a saucer crash which a lone alien survived. "I think you’re starting to 'get' how far-out-crazy-cool my songs and song themes are," says AV Super Sunshine. "With the help of some killer dance remixes and beats by producer Michael Bradford, AV's 'I Am Alien' is proving that his modern classic rock genre when remixed properly rocks even harder as dance club heat seeking hits. If you're in the in-crowd then you’ll know what I’m talking about, because you’ll 'get' it. Live long and prosper!" More on AV Super Sunshine: Take a trip with the hippest sounding band since Hendrix and Pink Floyd roamed the musical landscape. The unique name came from the Grammy nominated songwriter and producer James House who crafted it by mashing-up the artist’s initials "AV" with the song title, "Super Sunshine Girl." Voila: AV Super Sunshine was born. "The sound for The Bass Face" CD comes from legendary producer Michael Bradford. Bradford’s Rock, R&B, and Pop influence is front and center and designed to broaden AV’s audience by guiding him into pop territory. https://www.avsupersunshine.com. A true survivor who fights — and has fought — his way through severe depression, PTSD and more, AV’s track record is solid. In 2015, the entertainment marketing machine KES, started his promotion with Baby Goodbye releasing it to CMJ radio as a single and hit #7 on Billboard’s Hot Singles Sales chart in October 2015. "A Just Like Kurt, Kurt Cobain" tribute EP (CMJ Top 100) went to radio in October 2015 followed in May 2016 by a "Baby Goodbye" CD (CMJ Top 100) which spent 21 weeks on the CMJ chart. Now, BASS FACE (CMJ Top 100) and AV Super Sunshine are wowing critics everywhere! The Headlines past and present are spectacular and unbelievable: “AV Super Sunshine's "Baby Goodbye 2017" Crushes the Global Dance Chart, knocking Britney Spears & Tinashe's hit "Slumber Party" out of the number 2 spot while simultaneously holding back Ed Sheeran's new mega-hit "Shape of You." Hands On Public Relations and Marketing associates are Experts in Corporate, Entertainment, Celebrity Representation, Branding, Crisis Media Management and Public Relations. Catch Andrew Synowiec with special guest Tim Pierce LIVE at the famed Baked Potato Jazz Club in Los Angeles on May 1.